Do you dream of transforming your back garden into a romantic retreat? Would you like to make a modern-day Utopia on your balcony? Is your ideal outdoor space a minimalist design with easy-to-care-for plants or a family garden with room to grow culinary herbs? 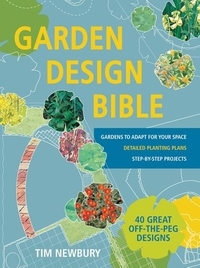 Whatever your desire, the Garden Design Bible has a plan that you can adapt to your own space. Confused by the bewildering range of plants on offer at your local garden centre? 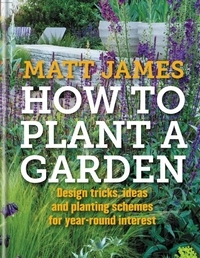 How do you choose, use and create beautiful planting schemes like the professionals? The book takes you on a structured journey through the design process, from the initial assessment of your existing space, through choosing a theme or style, to putting it all together. 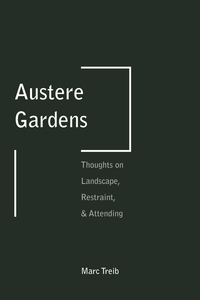 Austere Gardens suggests another way to look at the landscape, the garden, and perhaps the entire world around us. It suggests that being open to other ways of observing and sensing can yield new insights and rewards, and that interest is found in places unassuming and overlooked as well as those complex and assertive. Perceiving is only one half the story, however. 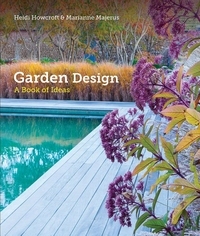 Author Marianne Majerus was one of three photographers for the seminal book by Prince Charles, HRH The Prince of Wales, Highgrove: A Garden Celebrated, published in 2014, which Camilla Swift of Gardens Illustrated praised for its photographs, "images so breathtaking I want to jump into them." Garden festivals are often a testing area for new ideas for landscape designers. On a small scale designers can experiment with innovative materials and explore emerging tendencies. The International Garden Festival in Métis in northern Quebec is probably the best-known festival in North America. 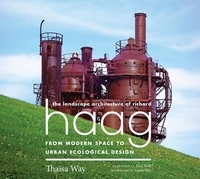 Richard Haag is best known for his rehabilitation of Gas Works Park in Seattle and for a series of remarkable gardens at the Bloedel Reserve on Bainbridge Island. He reshaped the field of landscape architecture as a designer, teacher, and activist. 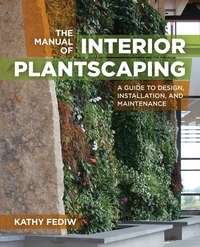 Set the mood for a space with interior plantscaping. At the end of the day, what better place is there to kick back, chill out and make the world go away, than in your own backyard garden? 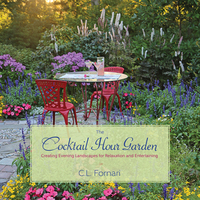 Plant and cocktail lover C. L. Fornari shows how easy it is to create a garden atmosphere that sets the mood for private relaxation or festive occasions with friends. 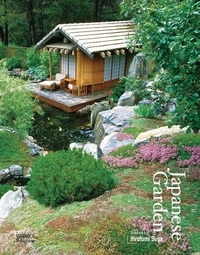 - The projects included in this book are designed by Japanese designers, and the gardens are of distinctive Japanese style. Green roofs - the ultimate in sustainable building practices - continue to generate enormous interest and enthusiasm among architects, landscape designers, and urban planners. 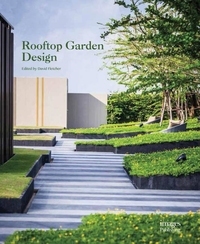 This richly illustrated book provides a comprehensive guide to contemporary trends in rooftop garden design, and provides definitive theory and design industry knowledge.